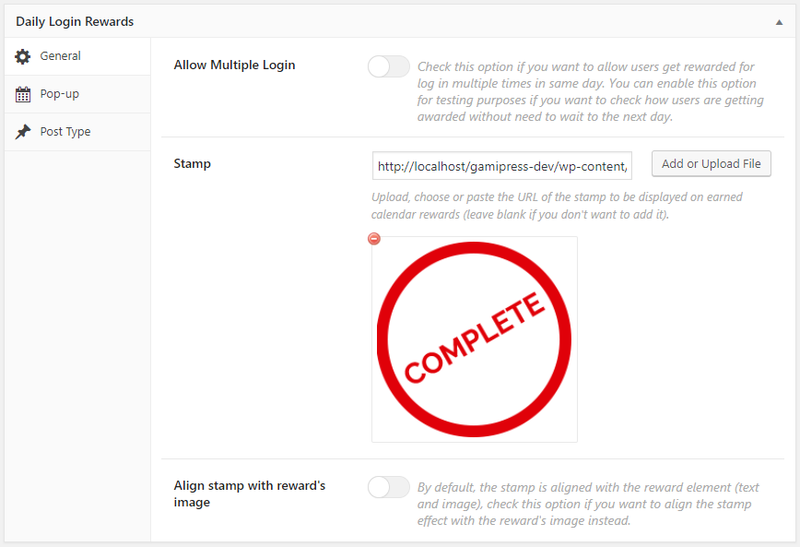 You will find the Daily Login Rewards settings on your WordPress admin area navigating to the GamiPress menu -> Settings -> Add-ons tab. Check this option if you want to allow users get rewarded for log in multiple times in same day. You can enable this option for testing purposes if you want to check how users are getting awarded without need to wait to the next day. The stamp to be displayed on earned calendar rewards (leave blank if you don’t want to add it). Important: If you want to test how your stamp looks, check this page to meet how the pop-up works and how you can test your changes. By default, the stamp is aligned with the reward element (text and image), check this option if you want to align the stamp effect with the reward’s image instead. Set the button text shown at bottom to hide the pop-up. Checking this option to display the rewards calendar title on pop-ups. Checking this option to display the rewards calendar short description on pop-ups. 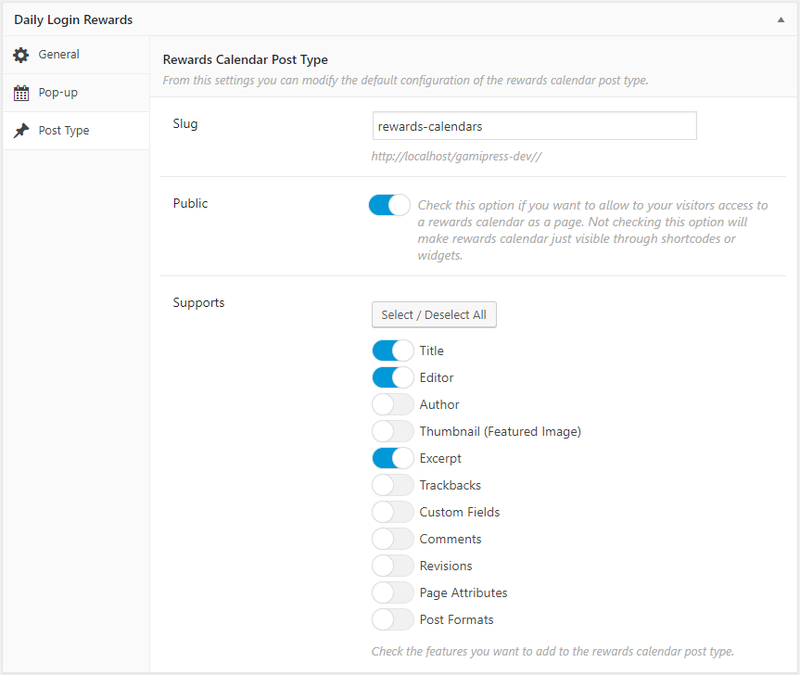 From this settings you can modify the default configuration of the rewards calendar post type. Set the slug for the rewards calendar post type. Checking this option will want to allow to your visitors access to a rewards calendar as a page. Not checking this option will make rewards calendar just visible through shortcodes or widgets. From this option you can enable/disable the features you want to add to the rewards calendar post type.